“War of the Worlds. “Independence Day.” “Pacific Rim.” Hollywood is no stranger to tales of space aliens, and most seem to culminate in an epic fight to save the human race. But let’s say we discover space aliens not on Main Street but on some distant planet. Will we panic — or heave a global ho-hum? A new study suggests the latter response is the more likely one. and a 2017 announcement that Earthlike exoplanets had been found within their host star’s habitable zone (where conditions are thought to be suitable for life as we know it). What exactly did the analysis show? 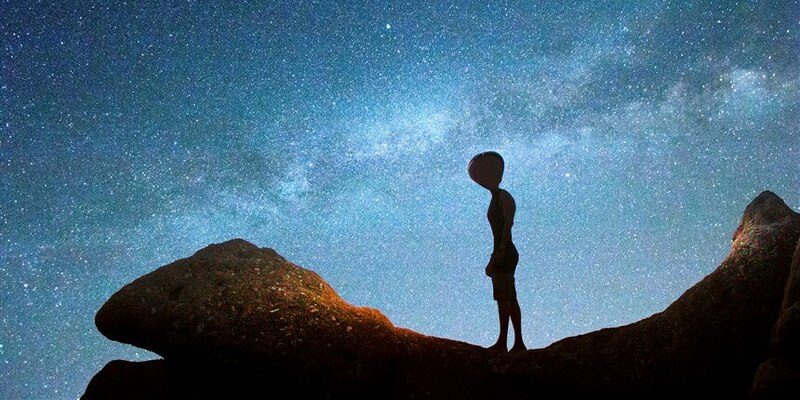 “We found significantly more positive vs. negative emotion in the media coverage,” Varnum told NBC News MACH in an email — a finding that led him to conclude that the population generally would be similarly matter of fact about the discovery of alien life. Astrobiologists generally agree that if life exists elsewhere in the universe, it’s likely in the form of microbes rather than little green men. So for another part of their research, the scientists studied reactions from more than 500 people to a hypothetical future announcement about the discovery of alien microbes. The participants were asked to detail their response as well as how they thought humanity might respond, and again, the scientists identified more positive emotions to the fictional news. Next, the scientists divided 500 different participants into two groups. One group read an article about the discovery of possible Martian microbes, the other about a claim that synthetic life had been created in a lab. The researchers found that people generally reacted favorably to both scenarios, and the positive-to-negative relationship was stronger for the discovery of alien life compared to the creation synthetic life. This suggests that “it’s not just that people use more positive vs. negative language when writing about science or even the discovery of novel life per se,” Varnum said. Dr. Seth Shostak, senior astronomer at the SETI Institute in Mountain View, California who wasn’t involved in the new research, said he wasn’t surprised by the findings. “Humans just don’t feel threatened by Martian microbes or their equivalents on Europa, Enceladus or other locales,” he told MACH in an email, referencing the moons of Jupiter and Saturn, respectively. But little green men, or what Shostak calls “gray guys” would be a different matter, he added. For some people, the findings may hit close to home. When a mysterious interstellar object, dubbed Oumuamua, was discovered passing through our solar system late last year, some suggested the cosmic interloper may have been an alien spaceship. In an unpublished update to the study, which was presented Friday at the annual meeting of the American Association for the Advancement of Science in Austin, Texas, Varnum noted that media reports covered Oumuamua with more positive rather than negative emotions. But that’s not to say that we’re certain to roll out the welcome mat for aliens, should we make contact. Varnum said humanity’s response to any discovery of alien life will likely be dictated by the nature of the extraterrestrial encounter.